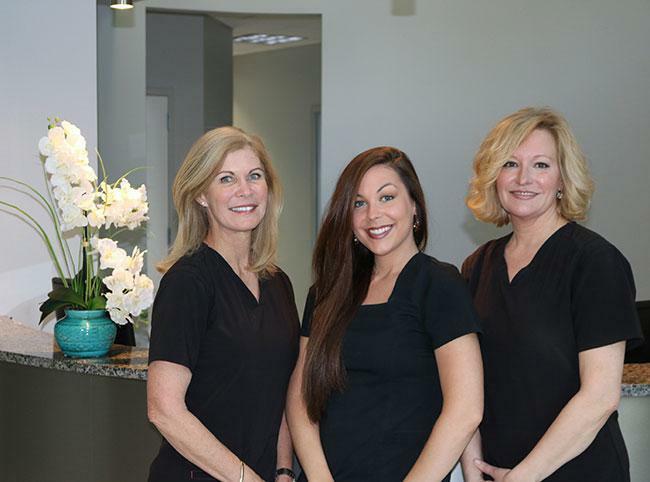 Cindy has been a patient coordinator for Saluja Cosmetic and Laser Center for more than 2 years. Her professional experience includes more than 20 years working for Fortune 100 companies and teaching group fitness. Originally from Pennsylvania, she is married, with six wonderful children and seven grandchildren, and has resided in Huntersville for 12 years. Shannon is a native of Greenville, NC, and a former medical assistant for a medical dermatologist. She moved to Huntersville, NC, one year ago to pursue a career in cosmetic dermatology with Dr. Raminder Saluja. With the knowledge and guidance from Dr. Saluja, Shannon now has the skills required for assisting in cosmetic dermatological procedures. After several years as a patient, Pam was asked to join Saluja Laser & Cosmetic Center in 2014 and has transitioned to a patient coordinator. Her current role allows her to assist patients in understanding the numerous treatments available in the practice. In addition to patient care, Pam also participates in testing treatments and products and enjoys sharing her experiences with our patients.